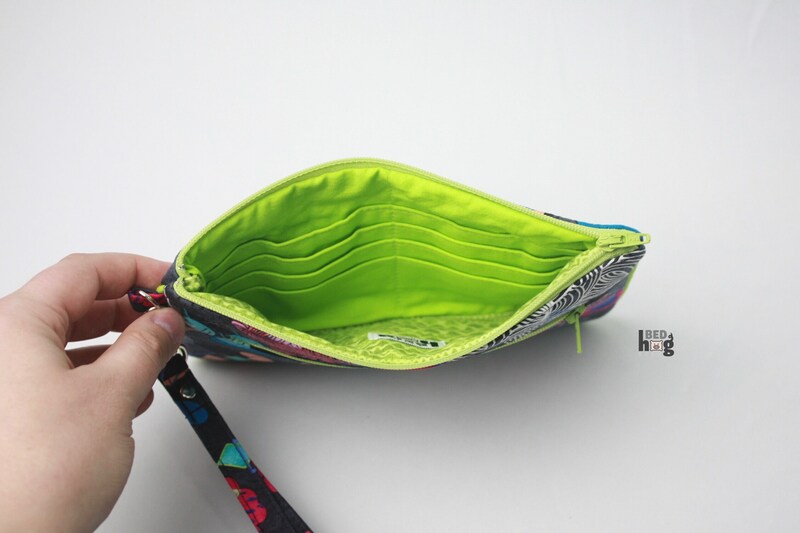 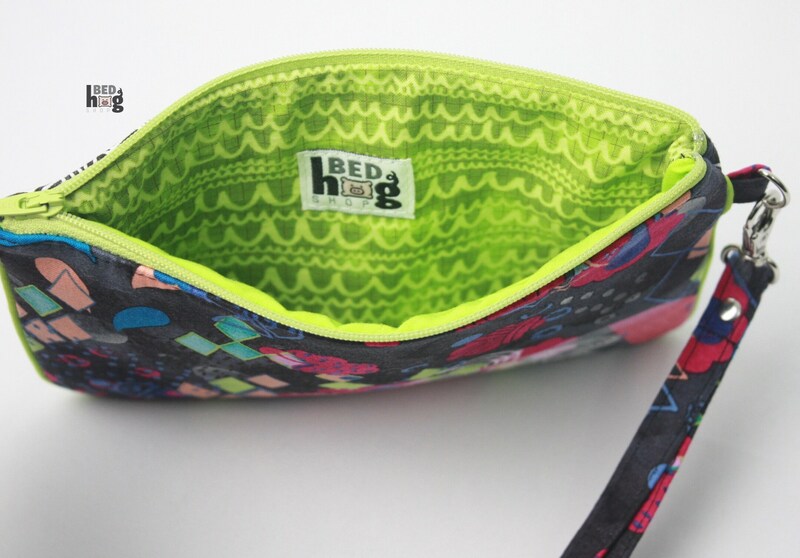 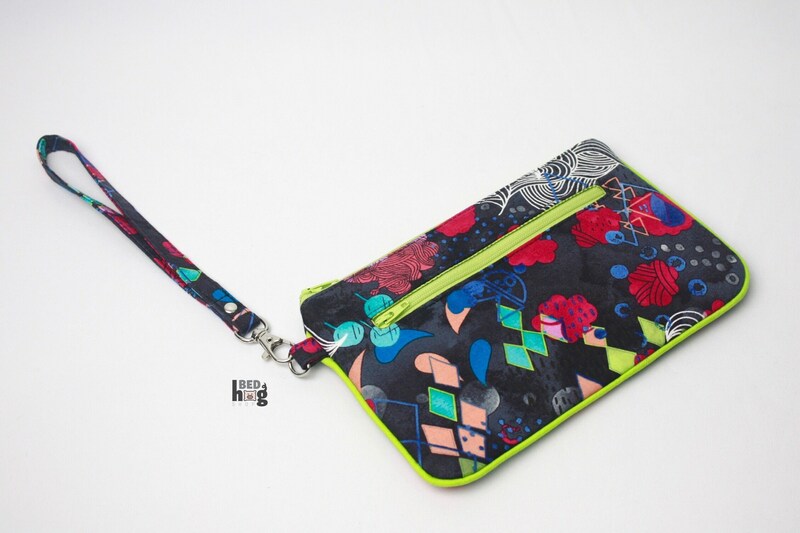 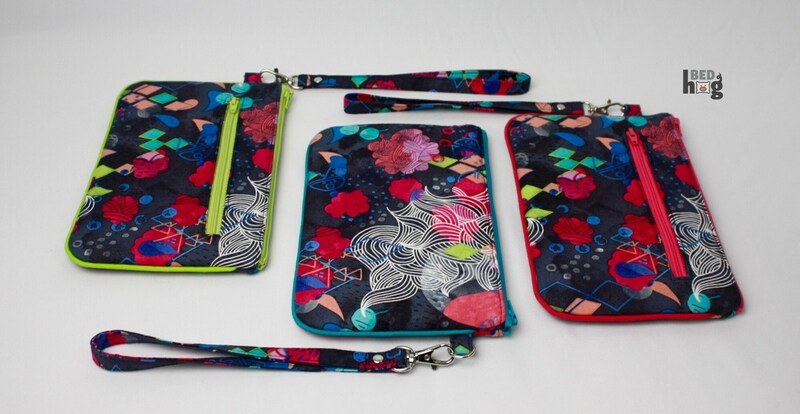 Nina Wristlet in a gorgeous abstract watercolor motif with solid lime green nylon zippers and piping. 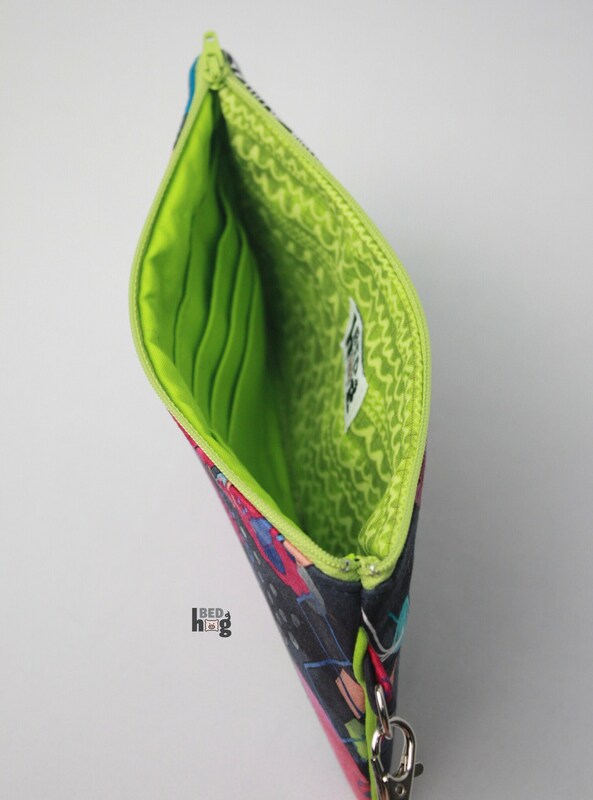 Interior fabrics include solid lime green Kona Cotton and green on green scribbles. 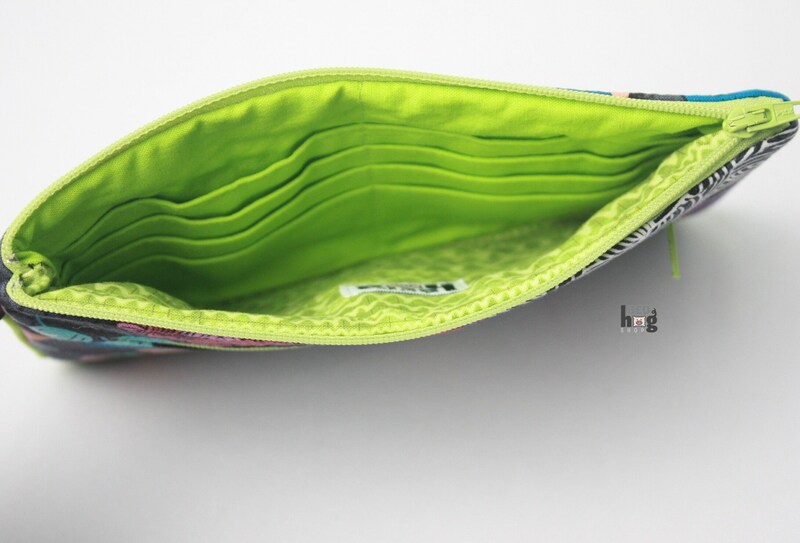 Exterior pocket is also lined with green on green scribbles.